Community: Enjoy relationships and social networks that provide support, friendship, love, and hope. What is Peer Recovery Support? Peer Recovery Support is the act of people who have had similar experiences with substance use disorders giving each other encouragement, hope, assistance, guidance and understanding; all which aids in recovery. It can be done anytime or anywhere when two or more peers are in a mutual, supportive relationship. Builds on individual’s resilience and capacities rather than providing services focused primarily on correcting their deficits, disabilities, or problems. Emphasis is on uncovering, reaffirming and enhancing the abilities, interests, knowledge, resources, aspirations and hopes of individuals, families, groups and communities. 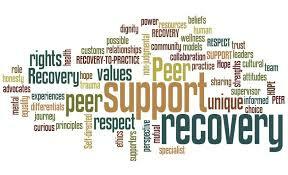 Since 2010 COSA-NCADD has utilized Peer Recovery Support Specialist to provide services to individuals in recovery. Currently, Specialists are conducting new client in-takes, completing community referrals, facilitating group meetings, conducting training and implementing prevention and recovery programs. Are you interested in becoming a Certified Peer Support Specialist in Alabama? 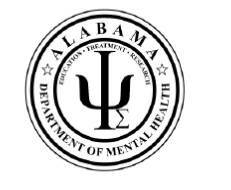 In Alabama a Certified Recovery Support Specialist is a person in recovery from substance use disorder, working within an agency or organization, who has been trained to use their personal recovery story to assist others in developing their personal plan for recovery. This person must meet the Alabama Department of Mental Health’s requirements to provide peer supportive services.